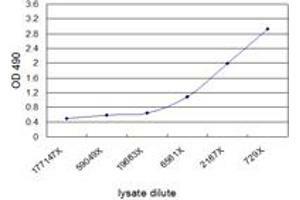 Sandwich ELISA detection sensitivity ranging from approximately 6561x to 729x dilution of the ACTA2 293T overexpression lysate (non-denatured). 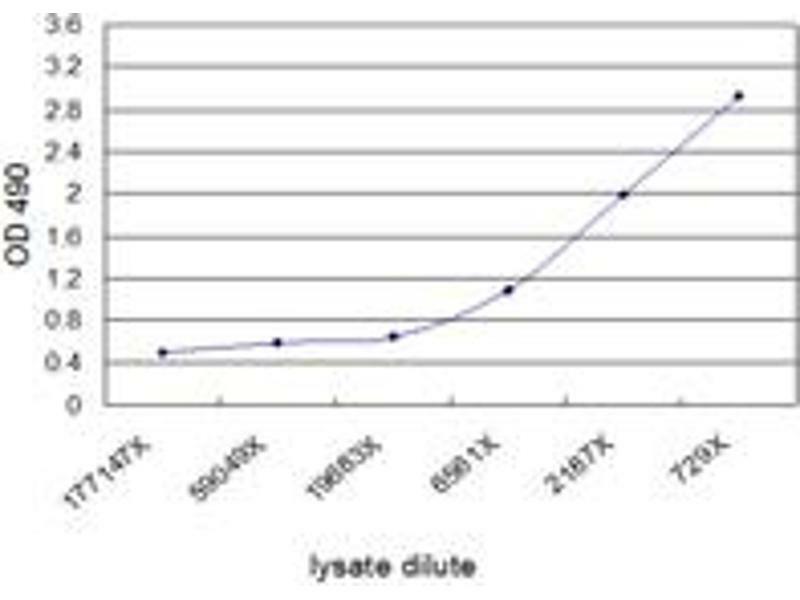 Standard curve using ACTA2 293T overexpression lysate (non-denatured) as an analyte. Standard curve using human uterus myoma tissue lysate as an analyte (non-denatured). 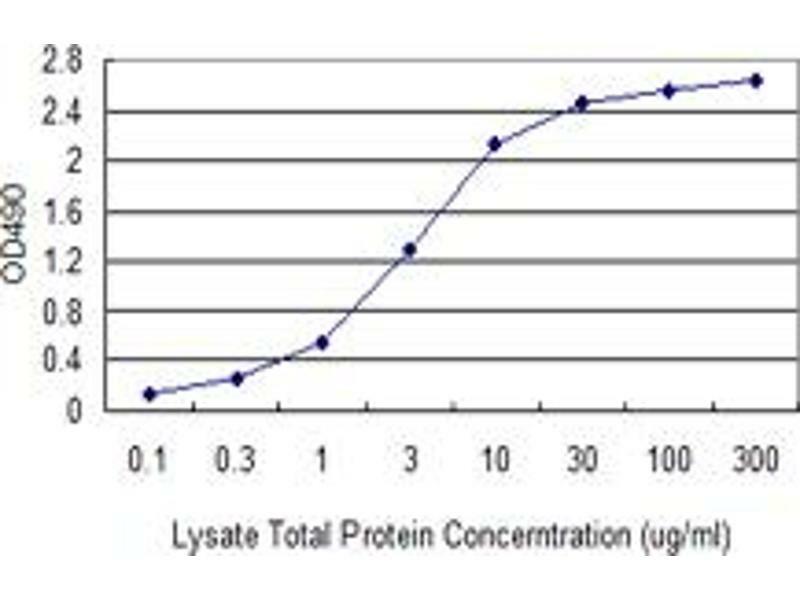 Sandwich ELISA detection sensitivity ranging from 100 ng/ml to 300 ug/ml for lysate total protein. Sandwich ELISA detection sensitivity ranging from 0.3 ng/mL to 100 ng/mL. Characteristics This antibody pair set comes with matched antibody pair to detect and quantify protein level of human ACTA2. 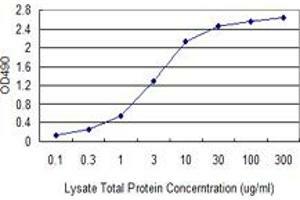 Product Quality tested by: Standard curve using recombinant protein ( H00000059-P01 ) as an analyte. Handling Advice Please aliquot to avoid repeated freeze thaw cycle. Storage Comment Store reagents of the antibody pair set at -20 °C or lower. Please aliquot to avoid repeated freeze thaw cycle. Reagents should be returned to -20 °C storage immediately after use.